Tommy DiLallo has over 30 years of Martial Arts, Self Defense and Military training, with 15+ years of constant training. 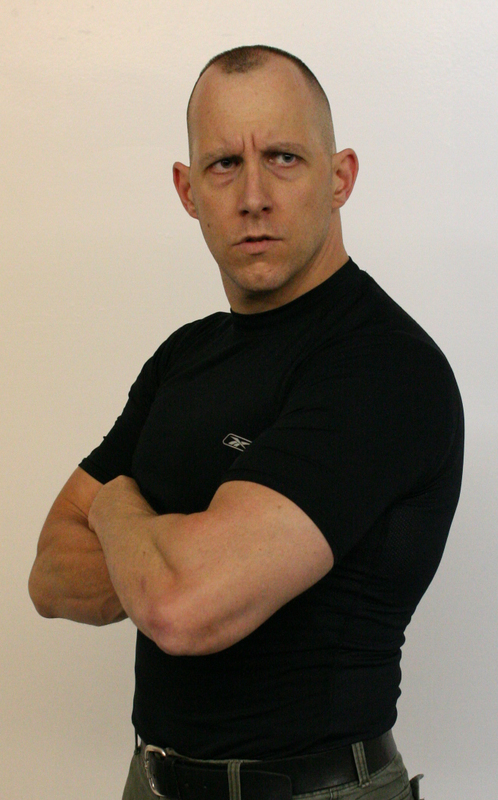 He is also the founder of VFSFC, CX3 Fitness and the New York Self Defense Club. He holds a Master (5th Degree Level) Sifu title in Wing Tzun Kung Fu and Chinese San Da, studying directly under GM Allan Fong. He has studied 4 Lineages of Wing Tsun, Tzun, Chun and Tsjun Kung Fu styles. He has trained in Japanese Jiu Jitsu, Tae Kwon Do, Go Ju Karate, Wrestling, Mauy Thai, MMA training with 3 time IFC Champion, competed in 7 MMA amateur bouts,Various Israeli, Russian, and American Style combative systems, KFM, Boxing and a wide variety of Filipino Stick and Blade system, in which he is currently is studying Pekiti Tirsia and various Executive Protection and Fugitive Recovery Courses and Certifications. He has served in the United States Marine Corps and has taken several handgun/rifle/EPS courses from Blackwater USA, Front Sight and has done a number of MILSIM operations, most known is Operation Irene with Col. Danny McKnight at Fort Knox, KY MOUT Training Facility with IronClaws. He also previously ran an Executive High Risk Protection Firm called Bulwark Tactical, LLC. but has now devoted all his time to VFSFC. He is constantly training and developing not only himself, but his fighting style and expanding it internationally on all areas of self defense and urban survival. Finally he has appeared on numerous Martial Arts shows such as Inside Martial Arts TV, Blackbelt TV,TRS Direct and a number of online publications, Martial Arts Supershows. Tommy will always consider himself a student since many systems have yet been explored, and to teach a CONCEPT art one must always be open to new ideas and methods. V-Force Scientific Fighting Concepts utilizes the most up-to-date and cutting edge self defense tactics available on the market today. It is always growing and changing to include most of today’s fighting tactics in the street and martial arts communities. V-Force Scientific Fighting Concepts includes into its system a hybrid or Combatives Systems and various other combatives tactics, programs and sequences. It also includes into it’s arsenal: Street Dirty Boxing, Jiu Jitsu/Grappling/Barring, Muay Thai, and Wing Tzun and full weapons training. Cross Training is essential to survival on the streets, making you better prepared in the case you go up against a skilled fighter or artist in general. Combat and Violence is not pretty. Whenever we watch violence on TV we see the results of what it can do to people’s lives, homes, and even Countries. I am sure all of them would have been better off with some sort of combatives training, NOT martial arts. We also see the results of lack of education and training when someone could have easily, or with some effort avoided or defended themselves out of that situation. Shouldn’t your training be up-to-date? Shouldn’t it work in many situations? There is a MAJOR difference between FIGHTING and a VIOLENT ACT . We want to give you, the student, all the necessary tools to defend, avoid, and protect yourself from a violent attack from one or many attackers. Whether it be a guy/girl deciding to attack you because you accidentally bumped his/her car, a night club altercation, or whatever situation or scenario you can come up with, we want you to have V-Force Scientific Fighting Concepts available when that time comes. . We use anything in our disposal and we HAVE NO RULES! THIS IS NOT SPORT FIGHTING!